Since the initial euphoria over President Ramaphosa’s election and inauguration, some of the excitement has worn off and the focus of the media has shifted back to South Africa’s many problems. Maybe we have forgotten that this new president is a consummate businessman in his own right and used to negotiating successfully at the highest level. And that is what happened – but only this year. 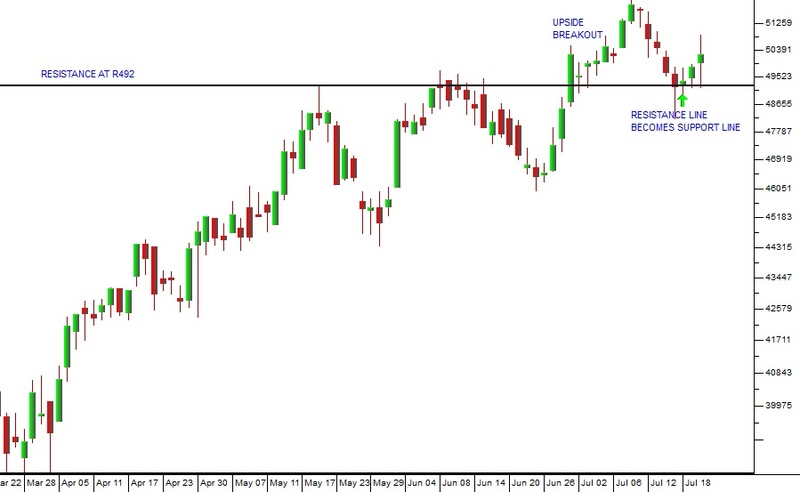 Not only did the share reach that level (R492) but it broke above it giving a clear technical buy signal. When a blue chip, institutional share like Steinhoff falls heavily, there are always private investors looking to buy it at its much reduced price hoping to make a quick profit. But there is great danger in taking a position too early.